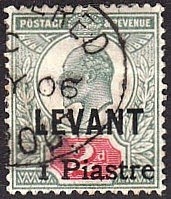 Perhaps the rarest of all of the stamps issued for Great Britain's Offices Abroad (excluding varieties) is the 1pi Beyrouth Provisional Surcharge of 1906 (Scott #25). 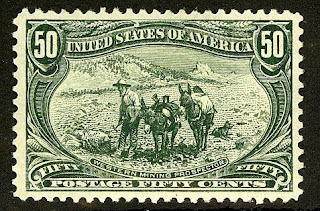 Despite the tiny issuance of 480 stamps, Scott '10 prices it at $ 1,500.00 for unused and $ 700.00 for used. Part of the reason for the undervaluation might be that fake surcharges exist, necessitating expertization (optimally by either the British Philatelic Association* or the Royal Philatelic Society of London). A "crown jewel" of British Offices philately, the stamp makes an excellent stand-in for all British Offices in the Turkish Empire stamps, which appeal to collectors of British Commonwealth and the Mid-East, two growing markets. * I could not find the url of the B.P.A.- Mea culpa.